There were still a couple of cars parked on them this afternoon but now that they are there the local Police now have the power to do something about it. Hopefully they will be there one day this week and put a stop to the inconsiderate parents who park there. Big thanks to Nadhim Zahawi if it was him who geed things along. 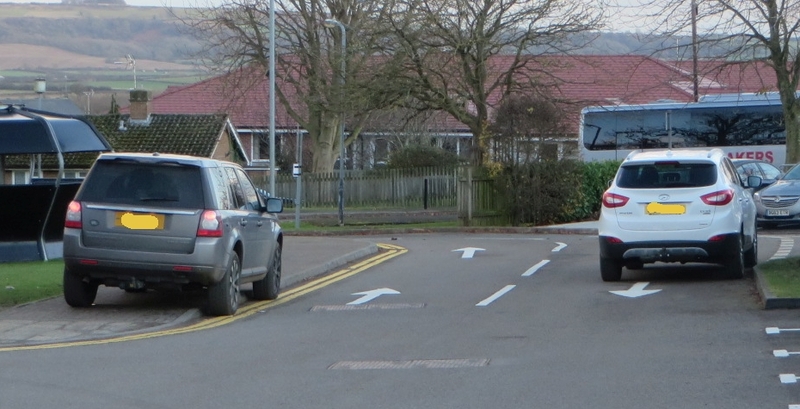 A cunning plan – Council paint double yellow lines – Park opposite them instead – You couldn’t make it up. How long before a child gets knocked over? Is it only a matter of time before a Shipston High School pupil is seriously injured (or worse) due to the inconsiderate parking by some parents at school pick up times? 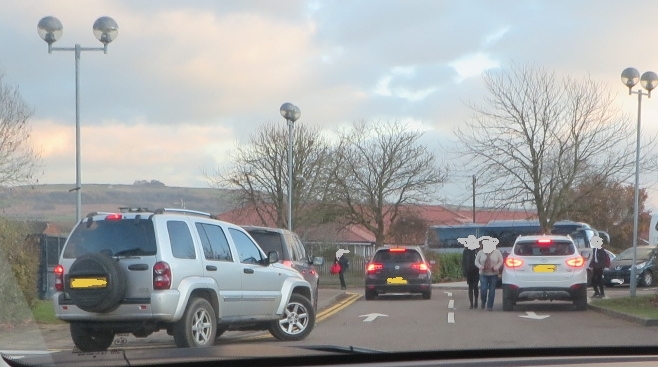 Cars leaving (having already picked up their children) have to drive on the wrong side of the road as other cars try to enter causing chaos but worse than that is the fact children are crossing the roads there at the same time. Drivers can easily be distracted due to cars being everywhere and easily hit a child. The crazy thing is that there are nearly always plenty of proper parking spaces within 20 yards of where these cars park dangerously but for some reason they still prefer to park there. I have spoken to the Manager of Shipston Leisure Centre Dave ? (He didn’t give me his surname) who told me they were only responsible for the building and what happens within the doors of the building. I have spoken to a chap at Highways at Stratford District Council who says SLM Leisure (the people who Dave works for) Everyone Active are responsible for the car park and grounds. Update: SLM Leisure have confirmed it is down to the relevant local council. I have sent an email to Shipston Police who not only acknowledged the email but also phoned me. I was pleased how the Police responded but unfortunately there is not a lot they can do as it isn’t classed as public highway. Apparently no one is responsible or prepared to try and stop the dangerous parking that happens there.